In the midst of a Swedish winter, a young mother is found murdered behind her son’s nursery. Halfway across the world, in the sweltering Kenyan heat, a government official is kidnapped. As a journalist, Annika Bengtzon is often on the frontline, witness to the darkness humans are capable of. But this time it’s different. It’s personal. The official held to ransom is her husband and she must meet the extreme demands of his kidnappers if she is to bring him home. Borderlineis the ninth instalment in the Annika Bergstrom series. For people who haven’t met Annika, she is a journalist from Stockholm who juggles work with raising her young family. 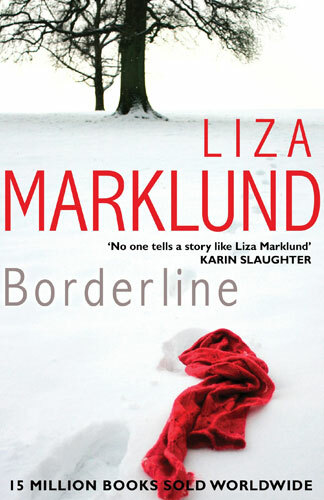 Borderline opens with the discovery of a young mother’s body in the snow behind a nursery, and emerging fears that a serial killer is responsible. The plot begins to reveal Annika’s interest in pursuing the story, but her attention is sharply divided when she receives news that her husband, who is on a government conference in Kenya, and the rest of his travelling party have been kidnapped. As the story unfolds, Marklund reveals her storytelling skill as she manages to hold two diverse plotlines together. Her descriptions of the kidnappings, and the torture that follows is both gritty and mesmerising. I really enjoyed learning about a world I hope to never know firsthand, and a culture that is beyond my comprehension. Interwoven among the two stories is the vulnerability of Bergstrom. There is no doubt that at work she is intelligent, stubborn, and strong. Her marriage is flawed, and in Borderline she is in conflict when her husband is kidnapped. He has cheated on her, left her, come home again but Bergstrom’s trust in him has been broken. Nonetheless she manages to come up with the ransom money being demanded by the kidnappers and flies to Africa to deliver it. The strength of her internal conflict is deftly handled by the author, and had me turning page after page to find out what she would do next. I was fascinated by the kidnappers, by Marklund’s description of a crime that has become common in some African countries; the abduction of businesspeople for ransom. I felt I was there –exhausted by oppressive heat, subhuman conditions and at the mercy of people for whom life held relatively little value. At times it felt odd to open a new chapter and be thrust into a freezing cold Stockholm after sweating through an oppressively hot afternoon in the middle of Africa. Marklund skillfully handles hot and cold, light and shade. The crime elements of the story will satisfy most tastes; it’s solid, surprising and beautifully told. I’m a sucker for Scandinavian noir and have been for many years. I have enjoyed Annika Bergstrom and her adventures ever since I discovered a tatty copy of The Bomber in a secondhand book shop. Borderlineis an intelligent, gritty story that kept me wanting to find out what happened next. It gave me a glimpse into a world that I hope never to see, but am really pleased I got to visit through this story. I highly recommend it.